The future is now! Wait. Scratch that. When it comes to digital advertising, the future was yesterday. Legal marketing embraced the power of the World Wide Web years ago and digital legal advertising has been growing ever since. But not all digital attorney advertising is made equal. Here are FindLaw's nine best tips for lawyers marketing themselves online. As the nation's demographics change, so do its media habits. Today, television plays a less central role in advertising, especially among Millennials, while mobile content is becoming ever more important. LinkedIn is the new golf course: a place to make connections, rub shoulders, and sell yourself. For attorneys, LinkedIn can be a great place to reach other professionals, for less than it costs to do print or magazine ads. Online video is quickly becoming Internet user's favorite type of content. The average American watches a full hour of online video every day. YouTube is the world's second largest search platform. Make sure it's your face they see when searching for legal content. All of your Internet content, including your blog, should be primed for viewing on a smart phone or tablet. If not, you could be missing out on valuable traffic. With over a billion users, Facebook dominates the social media game and if you want to play, you'll have to do it right. Here's three tips to help make your firm Facebook page worth the while. 6. The Single Most Effective Way to Get New Clients Online: Got PPC? PPC or "pay per click" advertising is one of the most efficient ways to find qualified clients online, while helping you get to the top of relevant search results. If you're a Twitter user, make sure your optimizing your tweets with hashtags. Here's five basic rules to help you out. 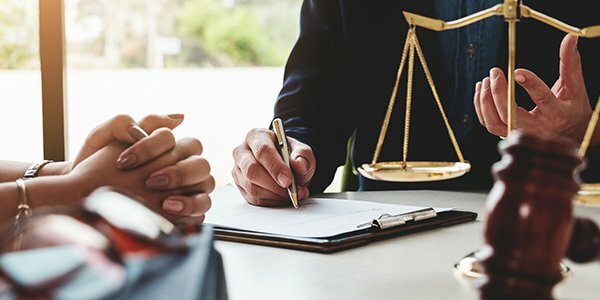 Attorneys should blog. It helps build your name, strengthen your brand, and expose you to potential clients and important colleagues. Just make sure you do your research first. 9. What Should Your Law Firm's Website Disclaimer Say? When it comes to your online presence, don't forget the fine print. You're a lawyer, after all. Need more help with your online marketing? Let the experts at FindLaw's Lawyer Marketing take the lead.